of the answer booklet. 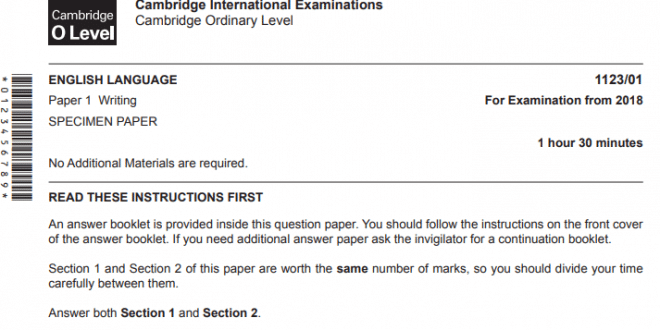 If you need additional answer paper ask the invigilator for a continuation booklet. divide your time carefully between them. Answer both Section 1 and Section 2. China Sea 2000 years ago. breath for too long underwater. good news for conservation groups who argue that such killing is cruel. form of employment to very many people. pearls is no longer limited to the rich. In this passage, Mr Lutchman’s traditional camera needs a roll of film inside it to take photographs. This roll of film has to be sent away and developed into photographs. the sky and at her husband. ‘You need to have a camera before you do a thing like that. better judgement, Mr Lutchman bought the camera. instruction booklet, decided it contained only incomprehensible words and baffling drawings. of lightning and fields of flowers bending before the wind. temper. The strained expressions continued. followed by a steady muffled roar of anger and distress. Water began flowing across the floor. it, but only when something else had gone wrong and he was feeling depressed.